Did you know that Mallorca is one of the most recognized destinations in the world of cycling to practice this fascinating sport on two wheels? Athletes from all over the world appreciate the excellent Mallorca cycling routes. And it doesn’t surprise us! Surrounded by a magnificent nature, beautiful beaches and incredible views, together with over 300 days of sun and mild winters, it makes it a perfect island for training on your bike. And there are many more advantages! Another amazing thing about Mallorca, is its climate. What’s more many cyclists choose the winter to train on the island. In this way they can enjoy the perfect temperature for practicing this sport and the landscape less crowded, comparing with the other times of the year like July or August. The nature and the landscape. Thanks to the mixture of the mountains and the sea, Mallorca provides routes for the cyclists of different skills and levels. Moreover, every 5 or 10 minutes you pass through a small charming village, where you can find food, place to relax or to sleep or a solution in case of emergency. Mallorca is very well connected, especially with many countries in northern Europe. Germans, Swiss and Austrians come frequently to the island to practice their favourite sport surrounded by the dreamy scenery. Sports facilities and cycling friendly hotels. Mallorca has unbeatable facilities when it comes to sport and there is a great variety of accommodations prepared for this type of tourism. In Hotels VIVA we share your passion for cycling, that’s why we have several cycling stations in our hotels VIVA Blue, VIVA Eden Lago, VIVA Sunrise and Vanity Golf, as well as warehouses to store safely your bike, numerous sports facilities for cycling enthusiasts and the gastronomy designed for athletes. VIVA Sports! The spectacular landscapes of the island make from the cycling routes a unique experience and a great opportunity to explore Mallorca. The variety and the number of roads make it easy for each level to find something for themselves. Equally, beginners as well as the most demanding ones will find something for themselves. At Hotels VIVA we make it easier for you to fully enjoy riding your bicycle. We share with you our favourite cycling routes in Mallorca, which you can not miss! If you have started to cycle recently, you might want to choose that route since its level is not too high. But that doesn’t make it less spectacular! It features 42 km and passes through wonderful and peaceful roads in the area of s’Albufereta.Together with wonderful views of the Serra Tramuntana it will make you appreciate more this sport. And don’t forget to take a swimsuit! We recommend this route for the experienced cyclists. You start from Playa de Muro and go 78 km until you reach one of the most famous part of North Mallorca, Coll de Femenia. By the professionals it is considered as one of the most advanced routes in Mallorca. And as one of the most breathtaking. Though it is 110 km of a great effort, it is truly worth it, as meanwhile you are pedalling you are enjoying all the magnificent views of the Sierra de Tramuntana, recognized as a UNESCO World Heritage in 2011. If you feel encouraged and you are an advanced cyclist, than we recommend you to start in Alcudia. 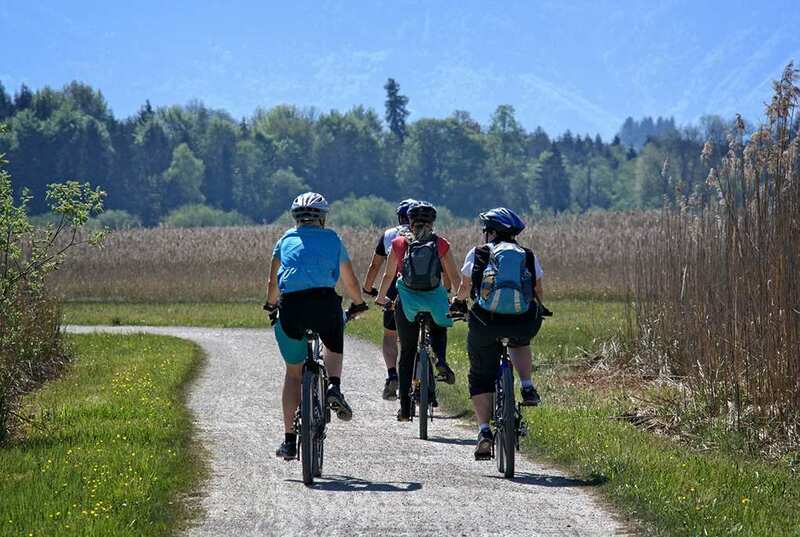 This wonderful 65 km route can be found in the ranking of the best cycling routes in the world. Departing from the Hotel VIVA Sunrise you will pass through the port of Pollença, to reach the Talaia d'Albercutx, while enjoying the incredible view of the Formentor lighthouse. The level of difficulty of this route is high, but without a doubt it is worth the pain as the spectacular views and the scenery will pay it off. Sa Calobra is a cove located in the Sierra de Tramuntana. The road, that is also called Sa Calobra, features only 14 km but it is full of sharp turns with a lot of traffic. We warn you: it will test your legs, but we promise it is worth to reach the goal. You will not regret! Now that you know all the important cycling routes of Mallorca, are you ready to start your new adventure on the bike? By staying in one of ours Hotels VIVA you can easily start these routes, as almost all of them start in Playa de Muro or Alcudia. Do you know our Hotels for athletes? What are you waiting for ? !